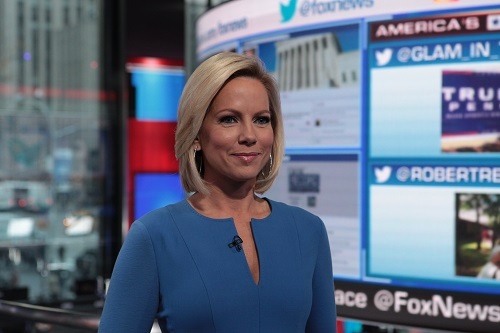 Shannon Bream makes history tonight as she becomes the first anchor of a late night newscast on Fox News. It’s no small thing that Fox has chosen to air a newscast after 3 hours of its very popular opinion program. For most of its 22-year history, the 8 p.m. show re-aired at 11 p.m. It’s also significant that network chairman Rupert Murdoch chose a woman to anchor the new show. “It will be all straight news, not opinion,” Bream told TVNewser in an interview last week. Bream has been with Fox News for 10 years, working her way up from Supreme Court correspondent to anchor. Before Fox, Bream worked in local news. And before that, she was a practicing attorney, often finding herself representing cases of workplace sexual harassment, the kinds of cases her own workplace has been battling publicly for more than a year. TVNewser: Fox News is making a lot of changes these days. You getting your own hour is one of them. How does it feel to get your own newscast especially one that follows three hours of opinion programming? Bream: Very exciting! I’ve worked in the DC bureau primarily covering the Supreme Court for a decade now. I’ve covered campaigns, the Hill, and everything else, and that’s just really where my passion is. I like getting information to people, digging around, and holding people accountable for how they vote and what they promise us. Having this new show based in DC where so much of our 24-hour news cycle is now coming from is really exciting. I’m thrilled about the opportunity, and we’re putting together a great team. I’ve also been hearing from a lot of folks out in the Mountain and West Coast who say, “hey, we’re wrapping up dinner and would love a little more news, a recap of the day and preview for the day ahead.” So I think that’s fantastic. TVNewser: You practiced law before getting into TV journalism at WFTS-TV in Tampa. Why did you want to make that transition? I have always been a “current events nut,” and have always wanted to know exactly what’s happening, where it’s breaking, who’s involved, what’s going on. I often tell the story about being a little kid sitting in my pajamas and sneaking down the hall and staying up late to watch election returns with my parents. I’ve always been curious, but I never thought of doing this as a career, as a job. I’ve taken a circuitous route to where I am, and I feel truly blessed every day to get to dig around for stories, meet interesting people, travel all over the place, and then share these stories with our viewers. I pinch myself a lot because I love what I do. TVNewser: Your local news career has taken you from Tampa, to Charlotte to Washington D.C. where Brit Hume, who was Fox’s managing editor, spotted you and you joined the network in 2007. 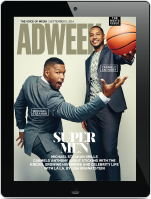 Talk a little about that transition from local news to the network? The business has changed so much, but one thing that hasn’t changed is how local reporters really do so much of the work themselves. Whether it’s finding the story, locking in the interview, shooting it yourself, logging the tape, often editing it and putting it together. Working in local news makes you very self-sufficient, which is a good thing because you know how all the different jobs work. I’ve worked many of those jobs in the newsroom, from my first job answering the phones and working the prompter, to producing, to being a reporter who does all of those things. When you make the transition from local news to something like Fox, you feel incredibly blessed because now you have fantastic producers at every level who are helping you do the things you used to do by yourself. I have a real appreciation for not only the job that everyone else has to do, but the fact that you’re part of a team now, and you have support. That’s been the biggest difference to me going from local to national. TVNewser: What kind of conversations have you had with Rupert Murdoch about what he wants to see from this kind of show? I’m in the news division, so it will be all straight news, not opinion. Certainly we’ll have people on the program from all sides of the story, but it’s really about giving our viewers another straight hour of news. Whether it’s a natural disaster, or a DC story, or an international incident or terrorism, we will be on air covering that. We will have live reporters every night, and we’ll have some of the more traditional elements of guests and panels, lawmakers, and news makers. At the end of the day, it will be about advancing the stories you heard during the day. The news now continues all night, whether it’s politicians and the president using social media, or it might be a major news outlet dropping giant stories at 9, 10 o’clock at night. We felt like it was really important to have a straight news voice that was around because the news cycle has been extended. We will be straight down the middle, give you what you need to know and a look at the day ahead. TVNewser: Who else has given you advice about what the newscast can be? I’ve had chats with Bret [Baier], with his executive producer Doug Rohrbeck, who has successfully helmed Special Report. Then, Jay Wallace, who leads our news division; our DC team, including Bill Sammon and Bryan Boughton, who run editorial and the D.C. bureau as well. There are a lot of voices in the mix. We have hired our executive producer, named Chris Wallace. A different one! It has been a very collaborative process. We’re saying: “Listen, the D.C. bureau does a straight hour of news with Bret every night, and we also want to do news in that vein.” That said, our message will be a bit different. We will have some fun with the news as well. TVNewser: I know you’re doing the show from Washington, where you were previously based. Would you have preferred to stay in New York where you’ve been anchoring dayside? Both have a different energy, but good energy. There’s so much news that’s coming directly from Washington every single day. It’s the place to be. The president has, whether you’re a fan or a critic, learned how to leverage social media and completely flip the news cycle on its head 24 hours a day. Because so much of what is driving the news is out of Washington, it feels good to be close to it and to know that I’ll be at the White House tomorrow for meetings, to know that I can walk over there and ask questions, and I can walk around the Hill any time and hop into offices. We will be reporting on this place so much, it feels good to be here. I also get to meet with sources I’ve built over the last 10 years, to grab coffee with them or get a tidbit here and there. TVNewser: The allegations of sexual harassment continue to dog the network. During your 10 years at Fox News, have you ever felt the need to speak to a superior about an uncomfortable workplace situation? My background is interesting in that I was a sexual harassment attorney before I ever got into news. I think I had a really broad understanding of exactly how the legal framework works, how HR works, all those kinds of things. Even before I was a lawyer and during my time as a lawyer and certainly as a broadcaster too, I think we all–and speaking to every one of my girlfriends–we all have experienced a situation where we have felt uncomfortable. Some of them have been minor, but some of them, for my friends, have been very major situations. For me, I’m a very autonomous person who is very educated about exactly what my options are. Letting someone know they crossed the line upfront is my strategy, and if you don’t find that you have relief from that situation, certainly you go to someone else. For me, my experience has been directly addressing the individual, or if my job allowed it, simply avoiding them altogether. But knowing that there are options has been a blessing.